There are many makes of air conditioning systems available to install in your home that will do a decent enough job. However, at Gas & Air, we like to go the extra mile and provide better solutions wherever possible. This is why we stock Carrier systems and recommend them to our customers. Carrier invented the air conditioner in 1902, but they didn’t rest on their laurels, and they have been consistent innovators in the air conditioning industry ever since. Here are three top tips for improving the air quality in your home in concert with your new air conditioning system. Keeping the surfaces in your home free from debris and dirt is a great way to improve the air quality in your home. As we enter our homes, we bring in a little bit of the outside world in the form of dirt particles and other debris. Another problem to consider is pet dander from our furry friends that sheds in our homes on a regular basis. A good cleaning regime using a vacuum cleaner and brushes to remove and collect dust is essential. If this is not done, the circulating air from the air conditioner will catch hold of these pollutants and circulate them throughout the home. This will significantly lower the air quality and reduce the effectiveness and efficiency of the air conditioning system. It is important to ensure that there is proper ventilation in your home so that fresh air is circulated. Many homeowners, consider their homes to be closed systems and lock up everything air tight when heating and cooling. Although this does conserve energy, there is a balance to be struck to get some fresh air into the home. Early in the morning is a good time to open some windows for a short time and the air quality will improve if this is done regularly. Air conditioning equipment is a quite complex system that relies on a lot of electrical and mechanical parts to work correctly. Additionally, ductwork needs to be cleaned regularly to improve efficiency and air quality. Always have a Carrier air conditioning service at the beginning of the heating and cooling seasons to ensure that everything is working correctly. This will reduce the chances of a failure when you need the system most and ensure that you have great indoor air quality throughout the year. If they are looking to install carrier air conditioning, Perth residents should contact Gas & Air. 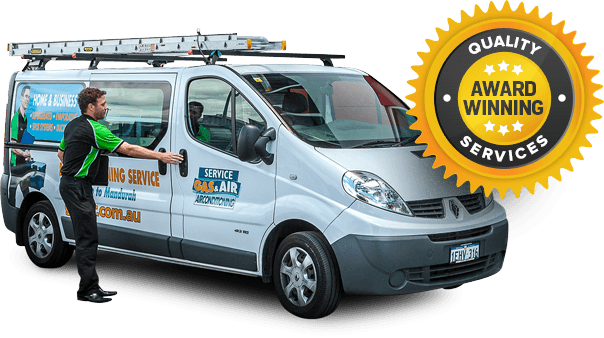 We are your local professional air conditioning specialists, and we stock high quality carrier systems that have a five year manufacturer’s warranty. Our installation experts are well versed in fitting both commercial and domestic cooling and heating systems. Get in touch with us, and we look forward to discussing your needs in greater detail.